Help them visualise the treatment process. By discussing treatment with your child, they can visualise what’s in store. Giving them a rough idea about what their initial visits will be like, preparing them for X-rays, planning delicious, braces friendly foods with them, will all contribute to them being able to visualise the journey ahead. Your orthodontist will be able to give you an idea of what to expect at each visit, encourage your child to be a part of these conversations. This will help them feel less apprehensive about the process. Discuss pain and discomfort during treatment. Your child will feel some level of temporary discomfort after each appointment. Acknowledging this before hand is always valuable. Reminding them that it’s only temporary and having the paracetamol on standby is even more so. But depending on their pain threshold, they would probably also benefit from soft foods such as soups and smoothies for the first day or two. Work on a hygiene routine together. We recommend brushing for three minutes, three times per day. It’s much harder to floss with braces so your gums need extra attention. We also advise rinsing with water after each meal to help wash away any bits of food that may be stuck between your brackets. Packing a toothbrush into their school bag will also help them stay on top of this routine during the day too. Prepare them for lifestyle changes. Most things take getting used to. With braces, your child can expect changes to their speech, the way they eat, sleep or even play a sport or musical instrument. At first this can be quite difficult to adjust to. However, talking to them about these changes in advance will put them in the right frame of mind once their braces are on. Acknowledging that speaking will feel strange at first, or that eating may be restrictive at times, is all they will need to better adjust to changes in their lifestyle. Remind them it’s only a matter of time. And even though all good things take time the only thing that isn’t temporary about braces is the healthy, beautiful smile that will be revealed at the end of their treatment. Ask your orthodontist to help. 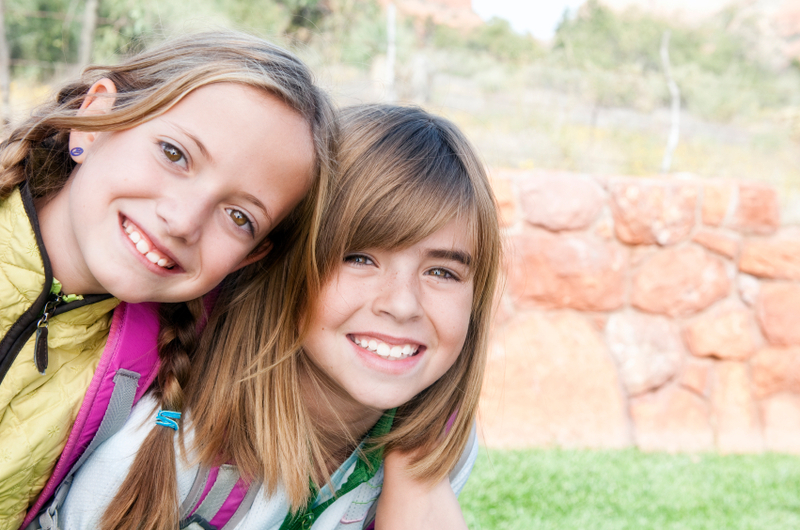 If all else fails, encourage your child to discuss these issues with their orthodontist. After all, we live and breathe this everyday, and there is no concern we haven’t come across. A really good orthodontist will invite your questions and concerns and will do their very best to help you and your child through the process. And finally, when those braces are on – it won’t hurt to tell them they look fantastic too.